protect the user from harmful EMF's. the harmful EMF's: whether they come though the electrical wiring of the house, outside power lines, TV's, cell phones, or even the wires coming up to the BioMat. while you lay on it. This alone is rare to find in any product. 'I feel as if I'm surrounded by a bubble without anything affecting me, what's that?" 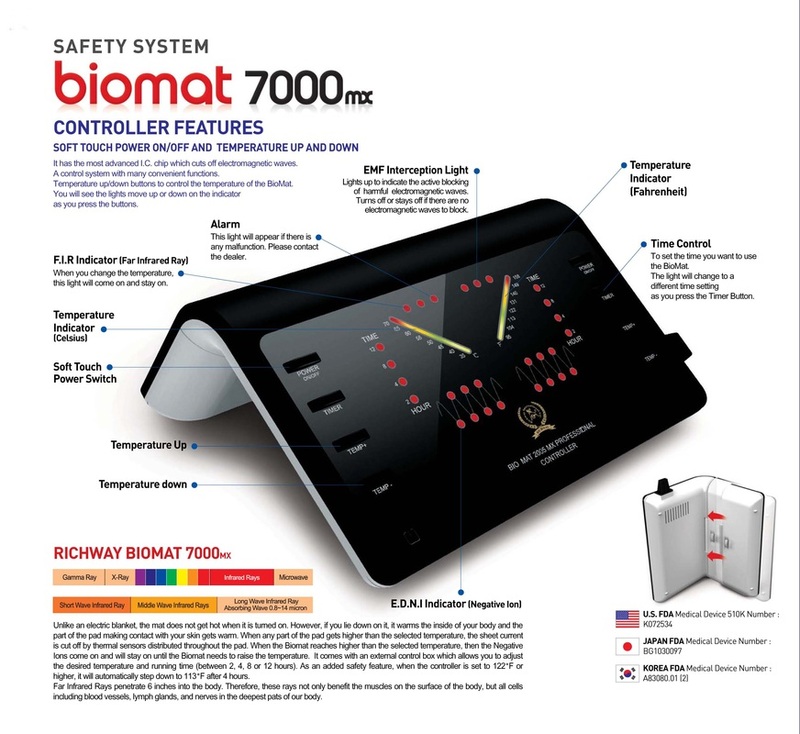 It's the EMF protection offered by the BioMat's combined technologies. An electromagnetic field (also EMF or EM field) is a physical field produced by moving electrically-charged objects. It is one of the four fundamental forces of nature (the others are gravitation, the weak interaction, and the strong interaction). The field can be viewed as the combination of an electric field and a magnetic field. The electric field is produced by stationary charges, and the magnetic field by moving charges (currents); these two are often described as the sources of the field. 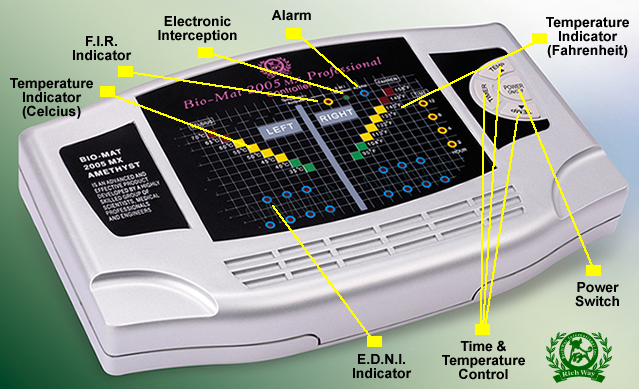 Control unit used after November 2012 showing the indicator light of the "electronic interception" of harmful EMF waves. It lights up to indicate the active blocking of harmful EMF waves. It turns off or stays off if there are no harmful EMF's to block. November 2012, showing the location of the indicator light for the "electronic interception" of harmful EMF waves.